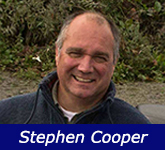 Brighton-based chartered surveyor Stephen Cooper, 53, has been passionate about rallying since he was a teenager and has competed in many international and national events. This is not the first time he has teamed up with co-driver Robert to take on the London to Cape Town run. "Whether we manage to break the record or not, we'll hopefully be raising awareness about the work Farm Africa is doing – so you could say we will be winners either way," says Stephen. 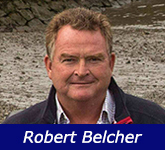 Company director Robert Belcher, 58, from Henley-on-Thames, has driven with Stephen before on a number of international rallies over the last few years including the FIM-sanctioned Rallye des Pharaons in Egypt in 2009 and the 2011 London to Cape Town Rally. This is his first world record attempt and a lot of time has gone into the preparation to ensure the greatest chance of success. However, both drivers are well aware how quickly things can go wrong and driving round-the-clock from border to border is not going to be an easy task. 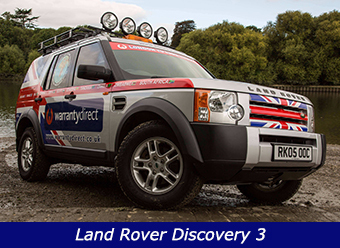 The car they have chosen is a Land Rover Discovery 3, a 2.7l v6 diesel with only 40,000 miles on the clock. It is one of the toughest cars in the world with good fuel economy, comfortable reclining seats and good air conditioning to reduce fatigue. The car is fitted with a Yellow Brick Tracker, which will send its position to this web site every 15 minutes. Apart from some basic spares – including three spare wheels and a good first aid kit – the car will be in contact through a satellite phone.